Easter Joy -- Hot Cross Buns! Easter this year really delivers the message of hope in all things beautiful beyond this life. Easter reminds me to hold on to the faith in the resurrection of my Lord and Savior Jesus Christ. A friend has sadly passed just few weeks before Easter. As much as he is missed, Easter is an assurance that we will see each other again, and he is residing in a place where there is nothing but brightness, joy and everlasting life. When I was a child, Holy Week in the Philippines was a week-long observance of Jesus' journey to the cross which concludes on Easter Sunday where we worship at dawn as we welcome His Resurrection. My parents take us to a sunrise service at the park where we sing the Hallelujah chorus as the sun is rising. It was always truly a beautiful and powerful Easter worship. Then we go to the beach for a swim and picnic on fresh seafood and barbecue all day. Nowadays, it is nothing as spectacular. Easter is celebrated with chocolates, Easter baskets, bunny toys, barbecue at the park, egg hunt and hot cross buns. 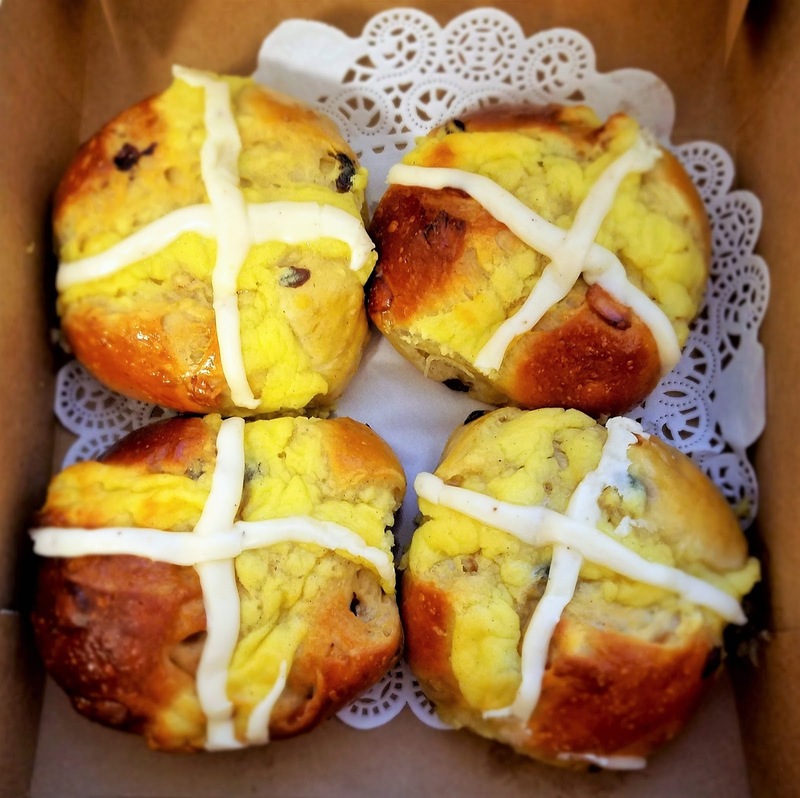 Every year I look forward to freshly baked Hot Cross Buns being sold at my neighborhood bakery. 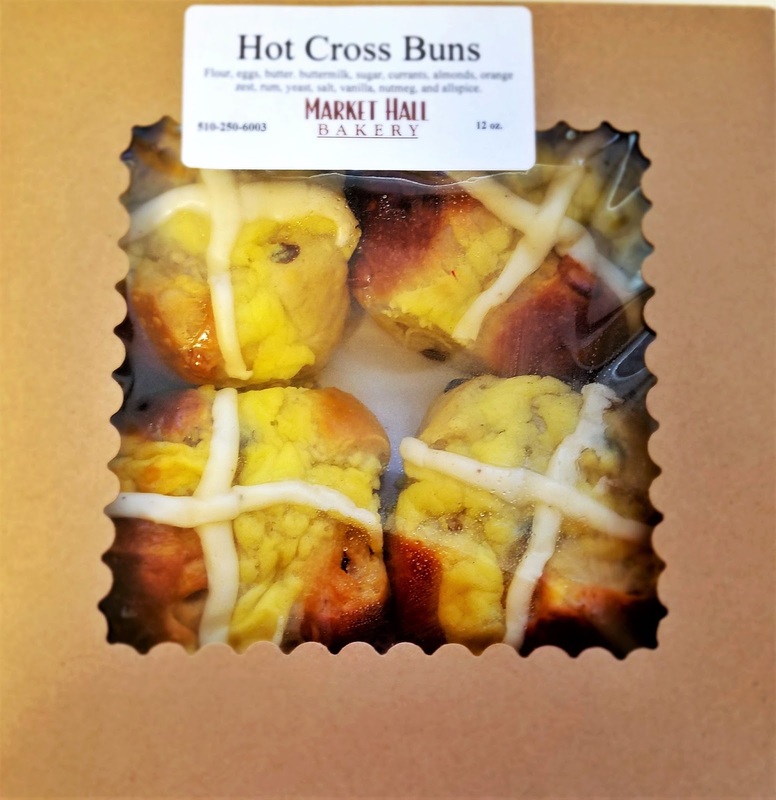 These pastries are only available during Lent until Easter. 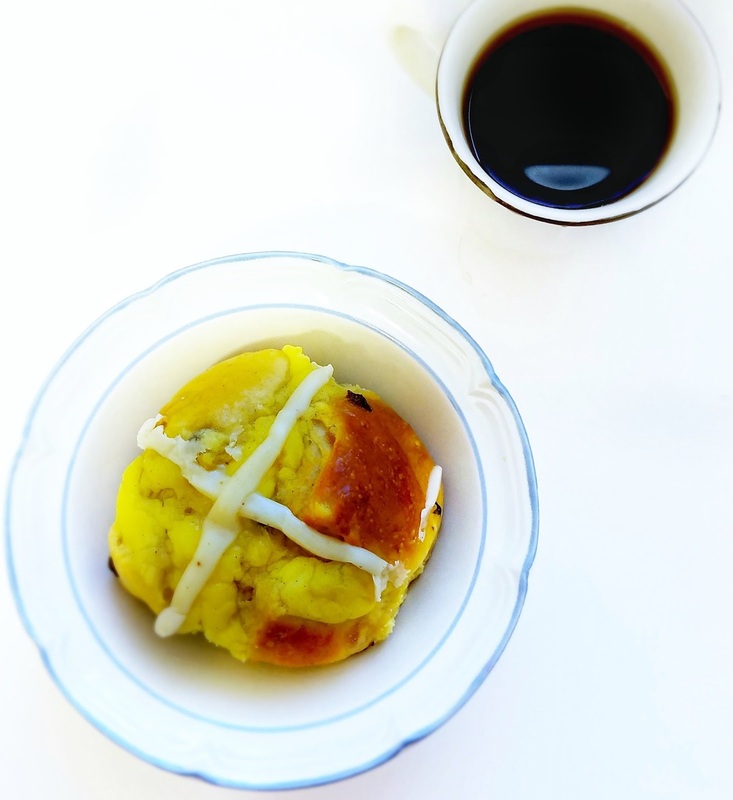 I definitely got my fill this year as I particularly enjoyed these sweet, custardy raisin buns with a hot cup of coffee every morning knowing I will not get to eat these again until next year. Hot Cross Buns now hold a special meaning every time I eat one. It is no longer just an Easter treat. They are a delicious reminder to give thanks for the gift of God's Grace, His love that knows now bounds and for the hope that we will see other again in heaven.